Greetings on the eve of WORLD MENTAL HEALTH DAY, October 2015! 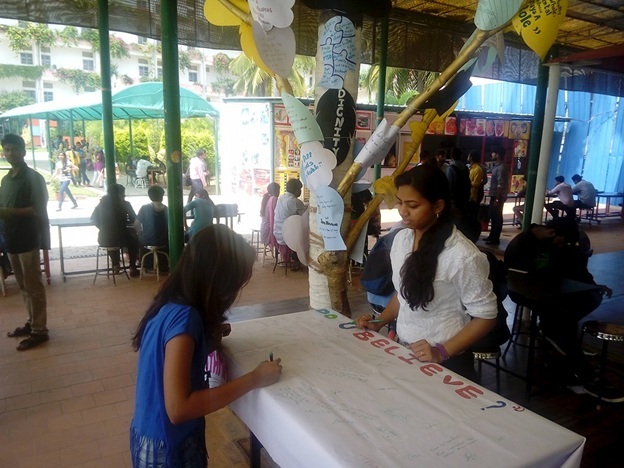 We are very happy again to inform you that we have conducted an awareness program on “Dignity towards mental health” in our college campus on 10th October 2015, on the eve of World Mental Health day. 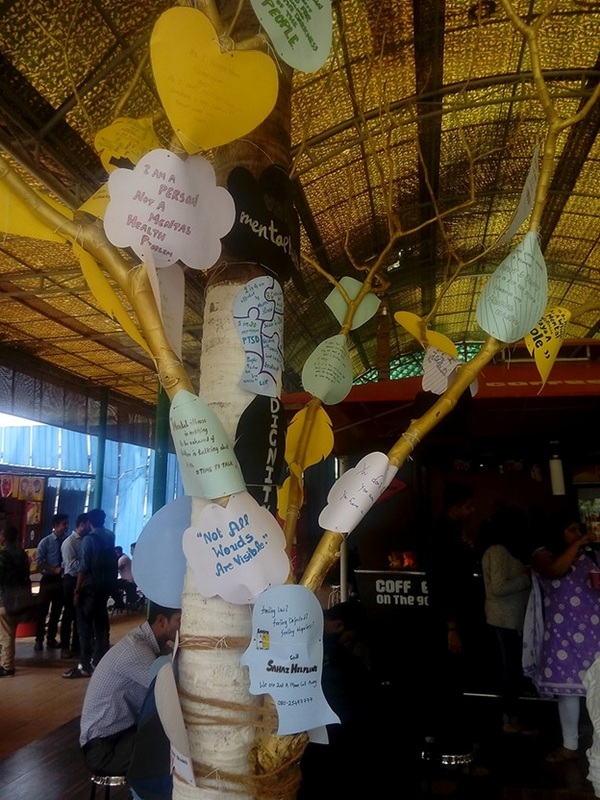 We used a tree in our cafeteria which portrayed slogans and writings on mental health, We also distributed brochures which contains an oath for the day to our peer students The students were requested to sign on a flex board in order to make public their committing to that oath. This oath included points from the youth –pro oath. We made a formal beginning of our youth pro volunteer-group, with all the ATHMA members taking the oath near the tree in the cafeteria that we have in our college campus.